U.S. 31/S.R. 6 (Main Street/Columbia Pike), running through the center of Spring Hill, is a state roadway and our city’s most congested thoroughfare as it provides direct access to a busy commercial corridor. City and State officials have long recognized the critical need to widen U.S. 31, due to the continuing growth in our area. However, U.S. 31 is among the 966 state projects throughout Tennessee that make up the Tennessee Department of Transportation (TDOT)’s current $6 billion project backlog, as annual gas tax funding for roads remains limited, which means it competes annually for revenue with hundreds of others top-priority projects. In 2019, TDOT signed off on allowing the initial environmental study - required by federal law - to be conducted along U.S. 31 that must be completed before a full roadway design can be done for the future widening project. That study is expected to take a year to 18 months. Governor Bill Haslam in January 2017 asked the State Legislature to increase the local tax on gasoline and diesel, which the Legislature approved in May 2017. The additional tax will bring in an additional $39 million for Tennessee cities annually, about $348,000 of which will come to Spring Hill. The governor’s plan also included a fee increase on passenger vehicles and heavy trucks for license tag renewals, along with a new electric vehicle fee, to help with statewide transportation costs. This piece of legislation, known as the Improve Act, included a three-year plan for shovel-ready projects that TDOT will build between the 2017-18 and 2020-2021 fiscal years. Conducting the environmental study on U.S. 31 will eventually make the project eligible to be on the three-year plan list. The City has been working for years with TDOT in an effort to widen U.S. 31. 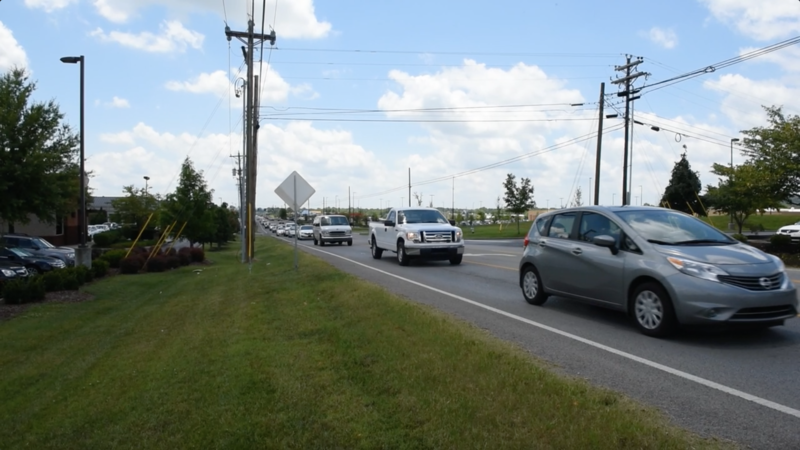 In February 2016, the widening project was placed in the Nashville Area Metropolitan Planning Organization (MPO)’s 2016-2040 Cost Feasible Plan to eventually widen the road from two to five lanes from Buckner Road to Miles Johnson Parkway. Having the project placed in the MPO’s main planning document was a major step in ensuring its future construction. However, an exact project timeline remains unknown at this time. With the project on the MPO’s radar, the City began in 2016 working with an engineering firm on plans for how U.S. 31 could be widened to five lanes without the potentially prohibitive expensive right-of-way costs that were initially projected, in order to make it a more feasible project for the state to begin. Through that engineering work, the City proposed a five-lane cross section, but with narrower than standard lanes (10-foot lanes instead of 12-foot lanes). Sidewalks will be accounted for on the frontage road system that parallels U.S.31 that the City is requiring to be constructed as development occurs. (The frontage road will be like what already exists with Wall Street, or through the Belshire area, where there’s a street that meanders parallel to U.S. 31). This new plan will be exponentially more affordable, which makes the project much more feasible to the state. TDOT has generally concurred with the City’s preliminary concept for U.S. 31.